When it comes to products like wood burners, range cookers and fires – there is lots to be said about a personal service. A qualified and knowledgeable retailer can provide you with the very best product advice and assist with installation. Instead of leaving you scratching your head and risking your own health and safety by trying to install a product yourself. In the modern age of online retail many people now choose to do their shopping online finding bargains and interesting products across the internet that can be delivered straight to their homes. However, here at W&H Supplies we believe that some purchases are best made in person. Here are a few reasons why you should visit our showroom, rather than purchasing a product online. Despite the growth of the internet and online shopping, studies show that the vast majority of retail purchases in the UK are still made offline. One of the key reasons for this is that you can’t feel a picture on a screen. At our showroom you can lay your eyes upon beautiful stoves, range cookers, fireplaces and accessories and get a real idea of how they might look in your home – whereas with online purchases it’s all just guesswork. When you step into our showroom you will be able to draw on the knowledge of our team of experts who have experience with every type of product and discuss your individual requirements to find a product that is most appropriate for your home. This is in stark contrast to purchasing online, where you have no one to ask questions to, or at the very least have long delays in hearing back from them. You can get instant feedback on your questions and either walk away with the perfect product or at least have a better idea of what it is that you really need. Another key reason to make your purchase in store is the technical, installation and safety support that our experts can provide. If you purchase a product online from a warehouse far away or second hand than you have no practical means of support when things go wrong. By purchasing locally, you are not only supporting your local economy but can also rest easy that you have a safe appliance in your home and if there are any problems you have dedicated after-support teams to call upon. One of the key reasons that many people decide to do their shopping online is that they have a hassle-free experience. Many find that shopping can be a stressful and demanding experience with too much pressure which is why we do our best to make you feel at home. Our staff make sure that every customer feels valued, without any pressure to come to hasty decisions. Unique to W&H Supplies we offer an in store complimentary coffee lounge and children’s play area perfectly arranged for you or your loved ones to take a break, or to sit and chat to one of our members and staffs about your questions and queries should you wish to do so. W&H Supplies are the largest fireplace showroom in the south. 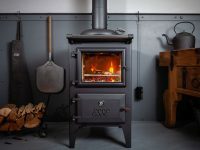 Based near Arundel, West Sussex, we display over 350 fires and surrounds along with range cookers, accessories, mirrors, pictures, ornaments, kitchenware and giftware. Visit us in store or call us on 01903 885566.